Hold your audience on the page longer. 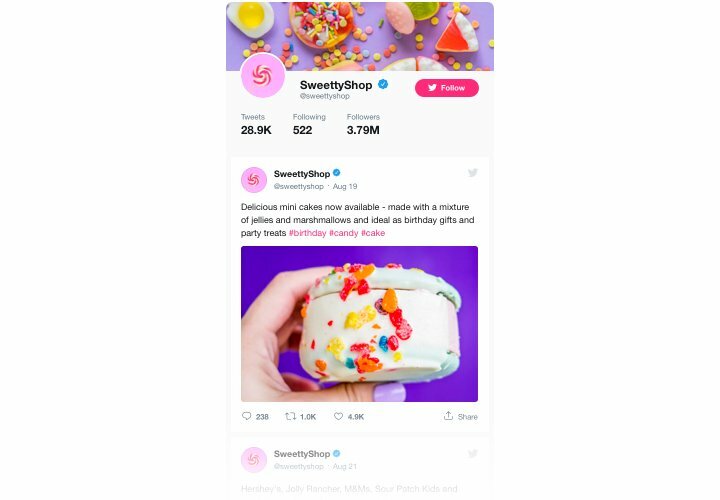 Keep your visitors on your website longer, demonstrating separate Tweets on the most interesting topics or engage the audience to take part in your Twitter-promoted activities. Increase the number of followers. 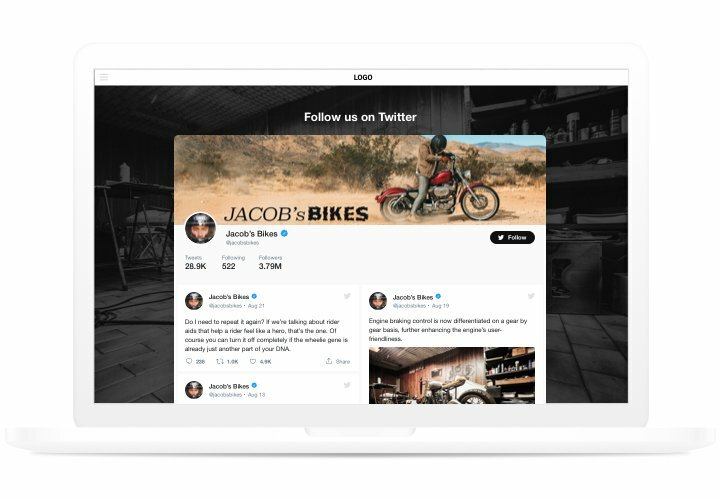 Interactive Elfsight Twitter feed enables clients to start following your account directly from your website. 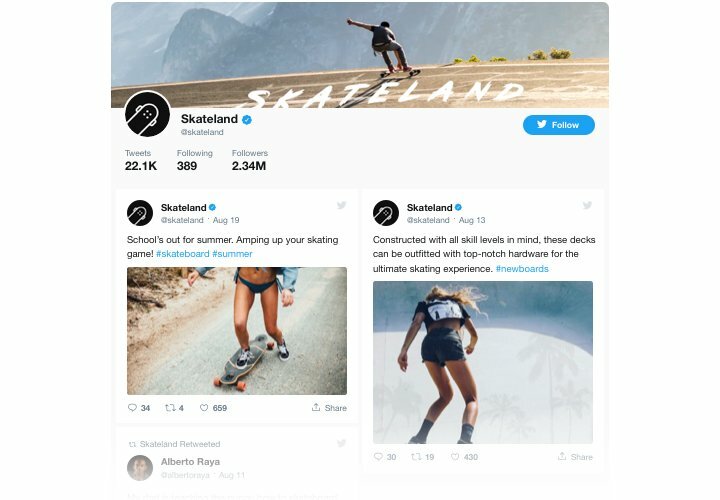 So you can use an additional source of followers and raise your Twitter community. Strong social proof for higher trust. 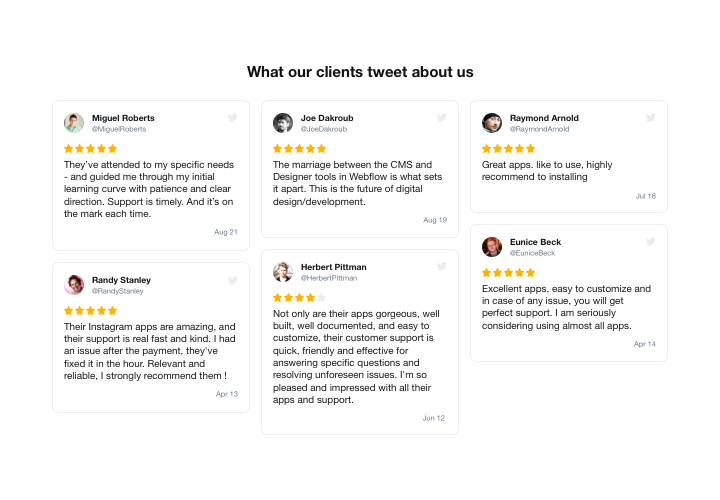 Demonstrate how dynamically you run your Twitter account to assure customers that your business is up and running and you wish to interact and become closer to your users. Complete the integration of the widget using our short manual. The is will take less than a couple of minutes and will not require experience in web development. 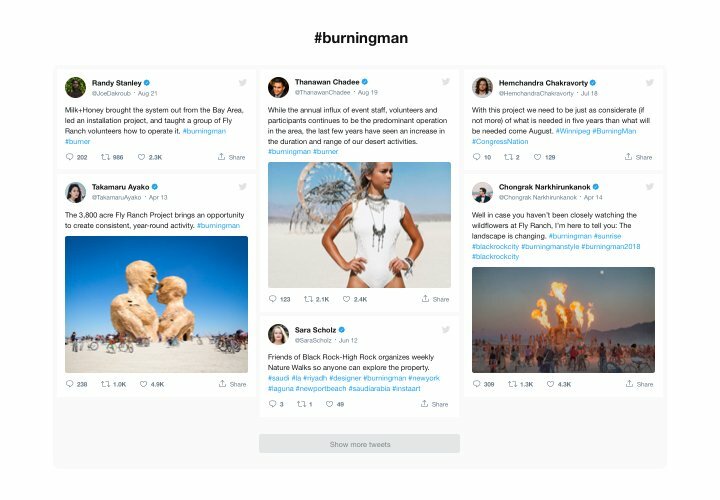 Design your unique Twitter Feed. By means of our free editor, assemble a widget with preferable look and functions. Copy a code for displaying the widget. After widget setting, obtain a code for Twitter widget from the popup window at Elfsight Apps. 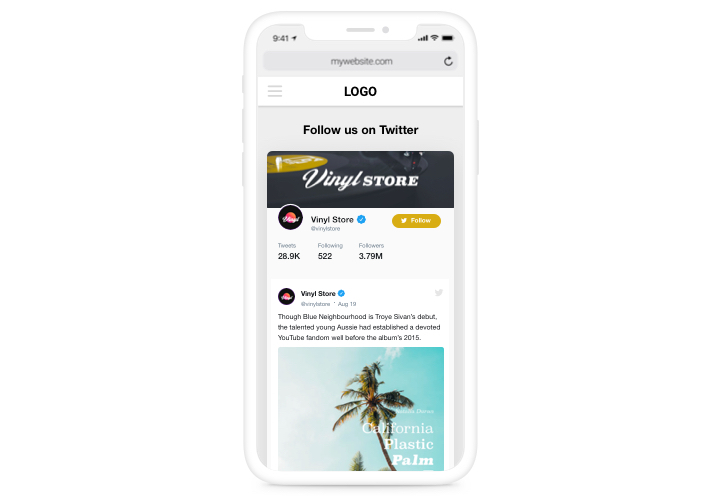 Place the widget on a website. Display the widget on the needed place of the page and apply the results. The embedding is successful!. Visit your Blogger website, to check your widget. Came up with troubles while setting up or customizing the widget? Write to our support team with a total description of the question. We will be happy to answer your questions. Set up your own Blogger Twitter widget easily and quickly!